Komatsu America Corp. and Extreme Sandbox, a heavy-equipment-adventure company, have announced an exclusive equipment sponsorship agreement that enables both companies to expose more Americans to the exhilarating experience of operating heavy machinery. Together, the two companies plan to expand the public's exposure to heavy machinery. By combining Extreme Sandbox's national expansion plans and proven track record creating memorable experiences, with Komatsu America's world-class machines, national reach and global resources, the alliance will introduce a new generation to heavy machinery and an under-explored area for rewarding careers. 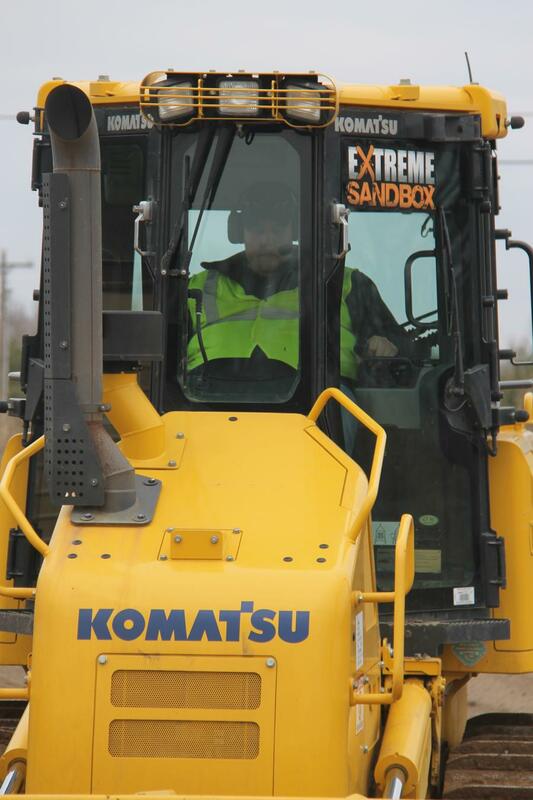 “We are thrilled to showcase the Komatsu brand of equipment at our Extreme Sandbox locations nationwide,” said Randy Stenger, Founder & CEO of Extreme Sandbox. “Our business has grown quickly and with that we desired to work with an equipment manufacturer that both has a top reputation and can help support our national growth. Komatsu is a leader in the industry and we have been truly impressed with their state of the art equipment. We have built an experiential brand that knows how to have fun, that's what we do, so it's great to be able to expand in to other areas to leverage our very unique skillset. We see tremendous value in using 'fun' to get students excited about the heavy equipment trades as well as letting the general public experience what it is like to operate these types of equipment. It really does leave people with a new appreciation for what our construction workers do on a daily basis and we are proud to be able to represent the Komatsu brand,” Stenger said. In addition to the Trip Advisor, #1-rated-attraction site in suburban Minneapolis, and the second site opening April 15, 2016, an hour north of Dallas, TX, site openings are planned for several US cities in the next few years. Permanent sites will also offer the opportunity to schedule machine and safety training at the high school and community-college level, as well as demonstration and customer appreciation events for local distributors. At the same time, through collaborations with local distributors, Extreme Sandbox will embark on periodic road tours that spread the message of a thrilling experience and a rewarding career to local communities across the country, via tailgating events, state fairs, festivals, parades, etc.